What is Help Authoring Suite? Macrobject Help Authoring Suite (MOHAS) is a suite of help authoring tools. 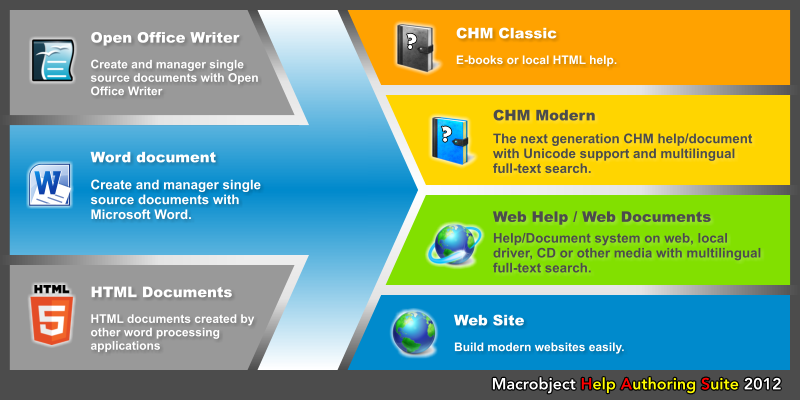 You could use it to generate Microsoft HTML Help (CHM Classic), CHM Unicode Help (CHM Modern) and Web Help System. Help Authoring Suite can also create Website from Word document. Our websites are created by Help Authoring Suite.